Location, location, location - that's the estate agent's mantra, isn't it? Nowhere is it truer than for church and state. There they stand, ancient castles atop hills and headlands, dominating the countryside around or protecting passes from invaders; churches and monasteries high above towns and villages so everyone can see and draw hope from them. Once the kings, bishops and abbots had chosen their special places, the rest of the land was left for the people to make their choices. 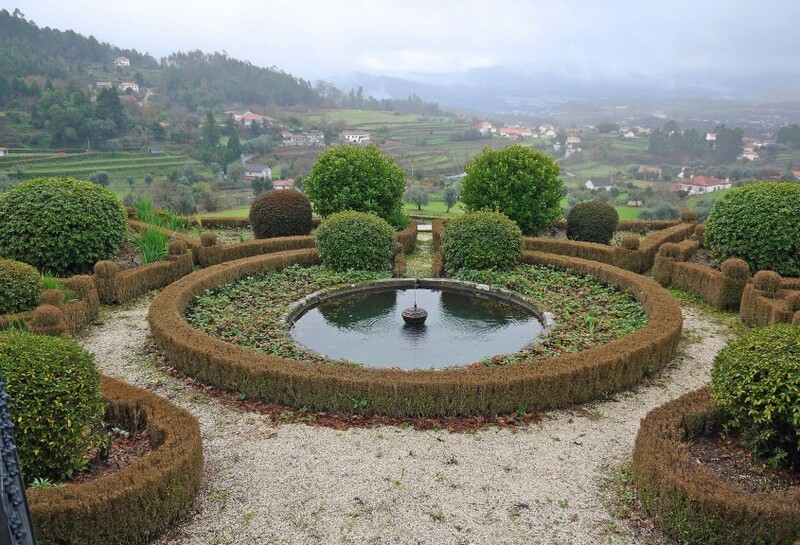 In the Minho, one of the oldest families in the country has a star location on a bluff looking far out across the river valley to Ponte de Lima and beyond. 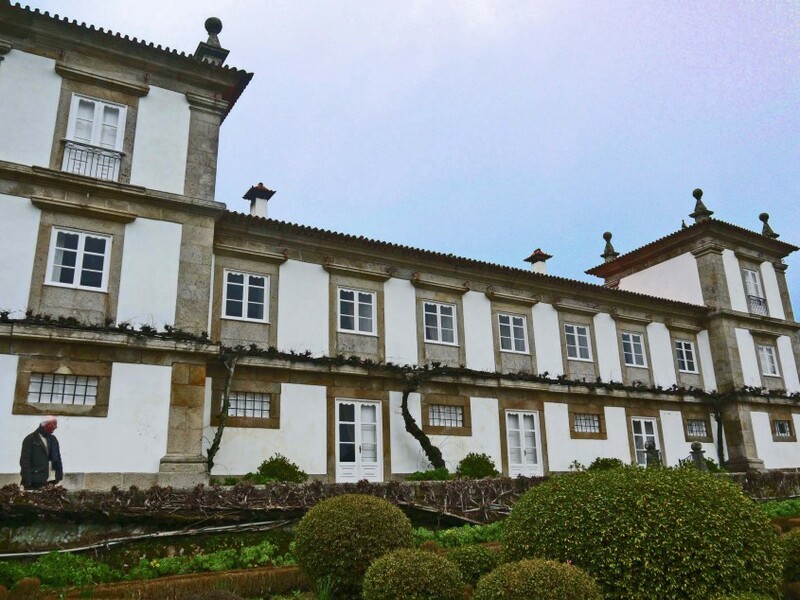 The Calheiros clan is so bound to its setting that it's hard to know which came first, the family or the village, for both bear the same name, as indeed does the manor house, the Paço de Calheiros. Like the Paço de Lanheses, which I showed you in From Crusader to Count, the story of the Almadas of Lanheses, the Paço de Calheiros is an elegant grey-brown granite and whitewash building where the living quarters were built above storerooms. Today, however those storerooms have become comfy en suite bedrooms for visitors such as you and me. This was our room and I love the elegant bedhead though I'm not sure I'd have enough clothes to fill this wardrobe even if I actually lived here instead just being a transient visitor. So what happens when you leave your room and go upstairs? 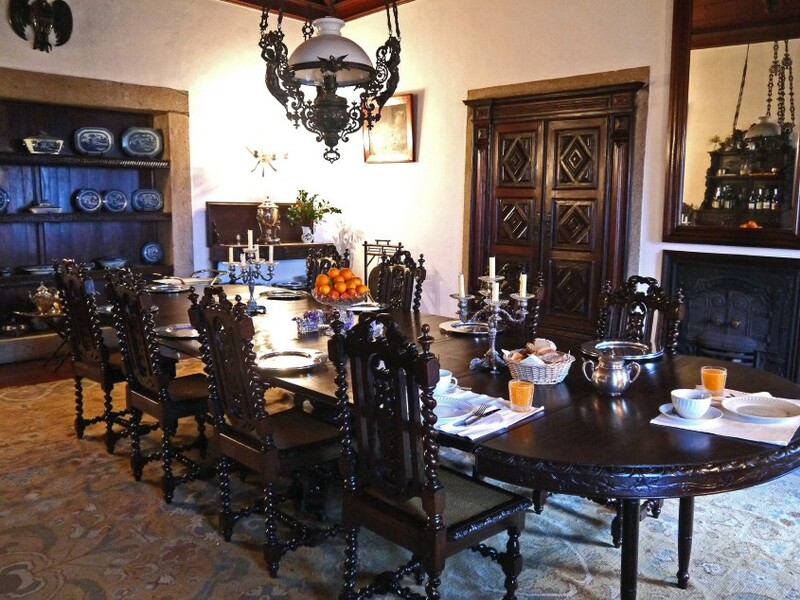 Well, as you enter the breakfast room, you feel as if you've just been cast as an extra in Downton Abbey. There are your places, set on a huge table, but at least you sit together, not one at each end needing a miniature train to pass the salt. If he isn't away on business, the Count of Calheiros will probably join you for breakfast – a selection of cereals and breads, both whole wheat and white, cheese and ham, jam, freshly squeezed orange juice and a bowl of peeled kiwi fruit, together with hot coffee and milk. 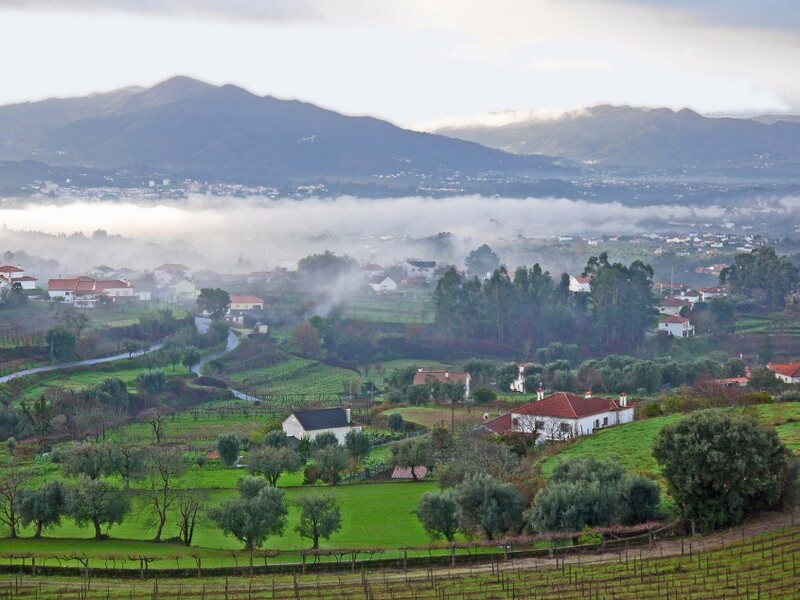 We stayed in January - not admittedly the most obvious time of the year for a break - but the Paço De Calheiros was warm and welcoming as we waited for the early morning January mist to rise from the valley. In the foreground you can see the Count's vines. He makes wine for the family but not commercially, though this may change in the future. Nearer to the house is an orange orchard with fruit scattered on the ground. "What a waste," I think, and the Count agrees but, as with chestnuts in the eastern Alentejo, it appears that it is uneconomic to pick the fruit. Cheaper fruit, which is grown elsewhere, is available in the supermarkets. Globalisation is affecting Portuguese agriculture and new products, new systems or new crops must be introduced if farmers are to survive. Closer still is the formal garden which, sadly, as in so many places throughout Europe, is suffering from diseased box plants. What is the Count to do? He will try to revive the sick bushes but it looks to me as if the battle may already be lost. The dull start to the day discouraged us from walking in the garden and so it seemed like a good time to see more of the manor house. 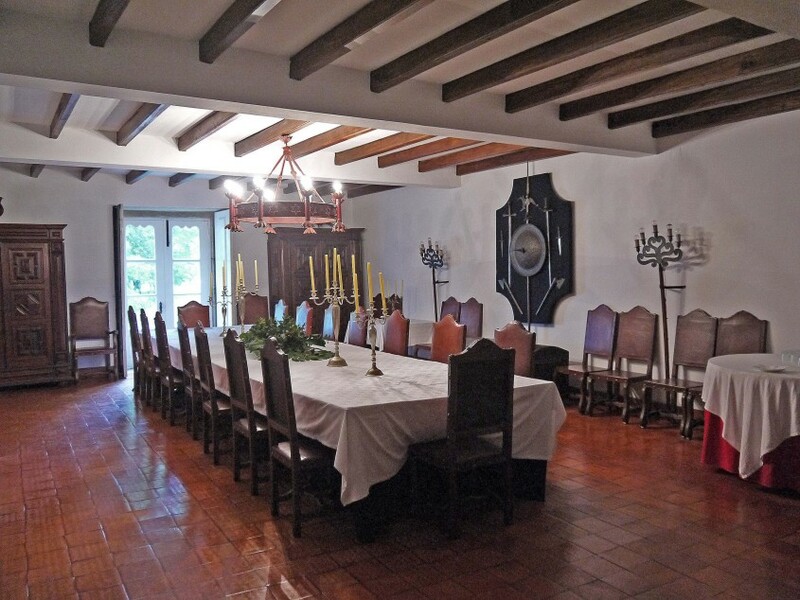 Wandering through the rooms and along the corridors we came to two huge, linked dining rooms and so we discovered that this could be the place for you if you wanted to stay in the Minho with a large group, such as a wedding party or a ramblers association. No doubt one of the rooms could be arranged for dancing but if that seems too energetic then a charming sitting room made from an old kitchen may be the place for you. What about this for a hearth? 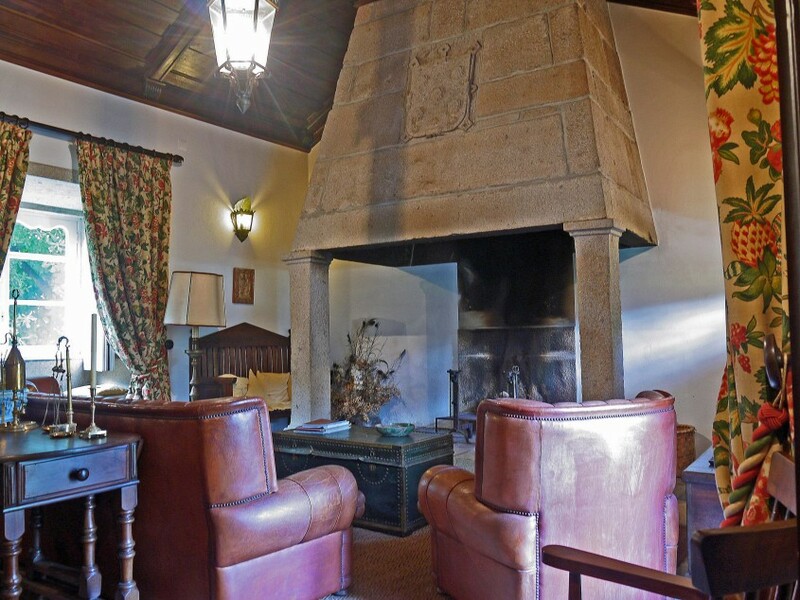 The Calheiros coat of arms above the fire place has five scallop shells and three stars, the shells reminding us that this village lay on the Portuguese pilgrim road to Santiago de Compostela. The Count of Calheiros is proud of his heritage, of the manor house which stands on land which for almost seven centuries has passed from father to son - except in cases such as his great grandfather who, outliving his own son, passed the inheritance on to the Count's father. The Count will eventually leave the manor to his son, at present a finance manager with a solar power company in Peru. He has paid his debt to the past by protecting his land and buildings; to keep the business viable in the future he is adding to the attractions by building a spa centre behind the manor, next to the swimming pool. The steam rooms and Jacuzzi are almost finished and so this summer, if you go walking in hills behind the village amongst the tumbled granite boulders interspersed with pine trees, gorse, broom and heather, you will be able come back to soak away your aches and pains and perhaps even have a restorative massage. 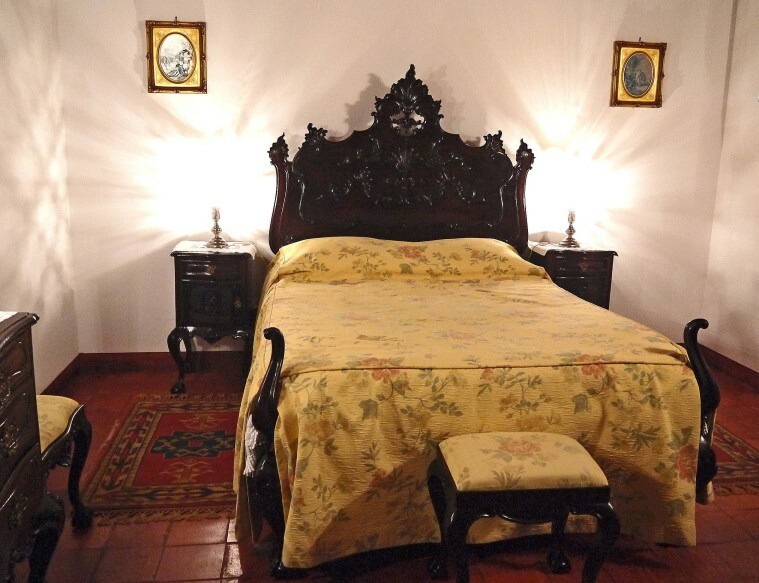 The Count is also reviving an old craft and monitoring a product from farm to table but you must wait for another post to read about that or visit the Paço de Calheiros yourself to enjoy the house, the scenery and the new spa and to talk to the Count about his interests and avocations. Do you have a favourite manor house with a view? Why not tell us about it?